Promo stands from MSP-Signs.co.uk are the best solution for trade show, exhibition or for any another show. Our demo counters and promotional stands are ideal for retail sales, promotions, presentations and exhibitions. Our sales promotion stands are great opportunity for in store food taster sessions or other sales promo events. 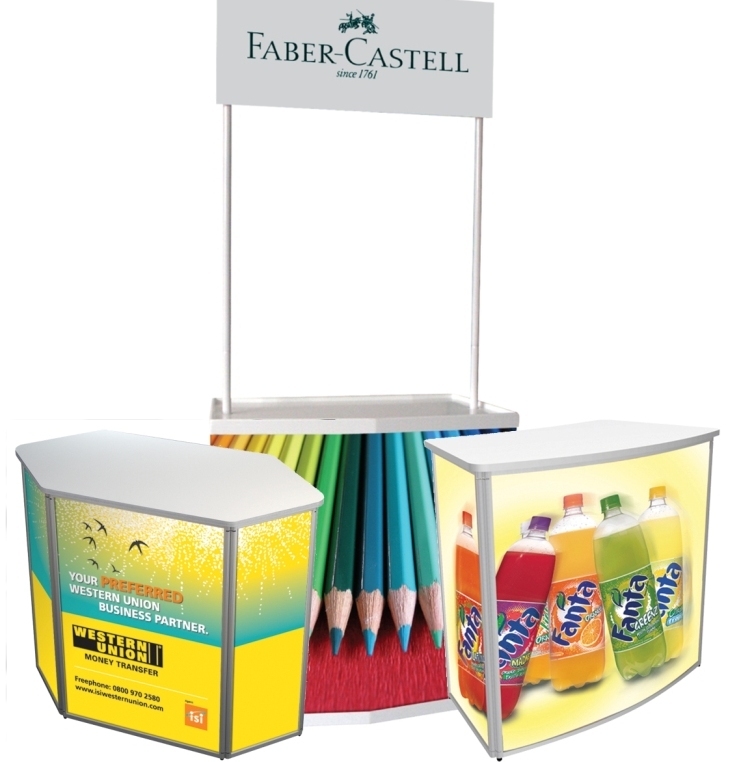 A promo counter display can be used as a temporary or semi-permanent promo display. 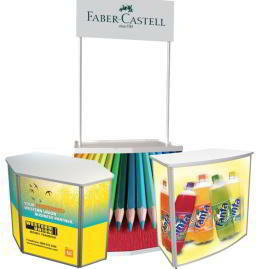 We offer our promo stands in wide range of sizes and styles. All our promotional counters, demo kiosks, promo stands and promotional displays are supplied with graphics and ready to use. Please note! If you would like to order more Sales Promotion stand then three, please contact us on sales@msp-signs.co.uk or call us on 0845 116 2548 to get a better deal.